Suns out, Buns out for July 4th! 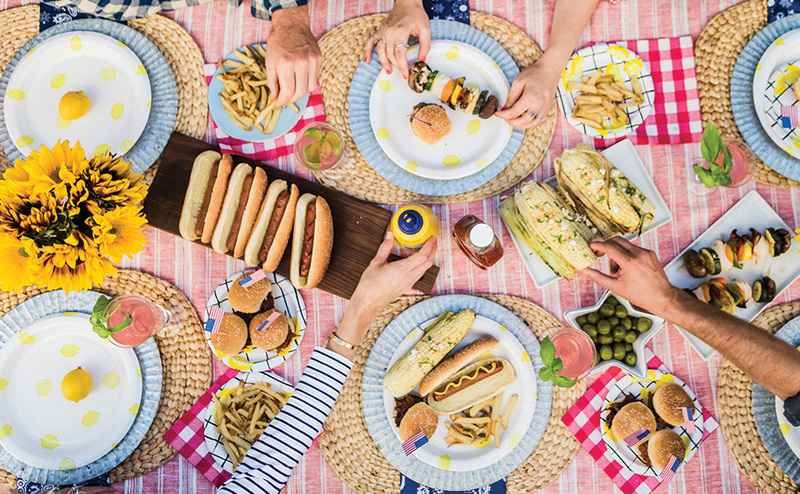 It’s that time of year again, and there is no better way to celebrate America’s Birthday then by throwing a killer backyard BBQ with friends and family. 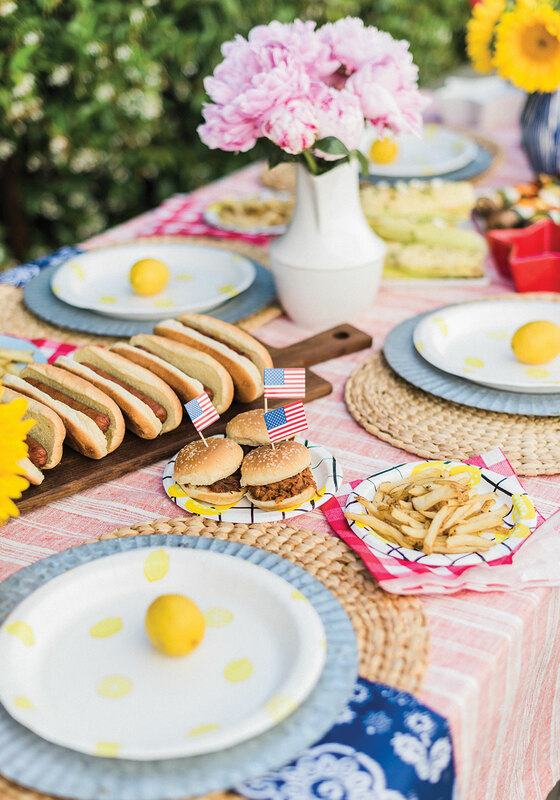 When I think of my favorite July 4th memories, hot summer days filled with red, white, and blue decorations and delicious meals from the grill pop into my head. It’s what I look forward to every single summer! Speaking of grills, we partnered up with our friends at Ace Hardware again, who prove that they truly do have the best products to help make your world a better place. 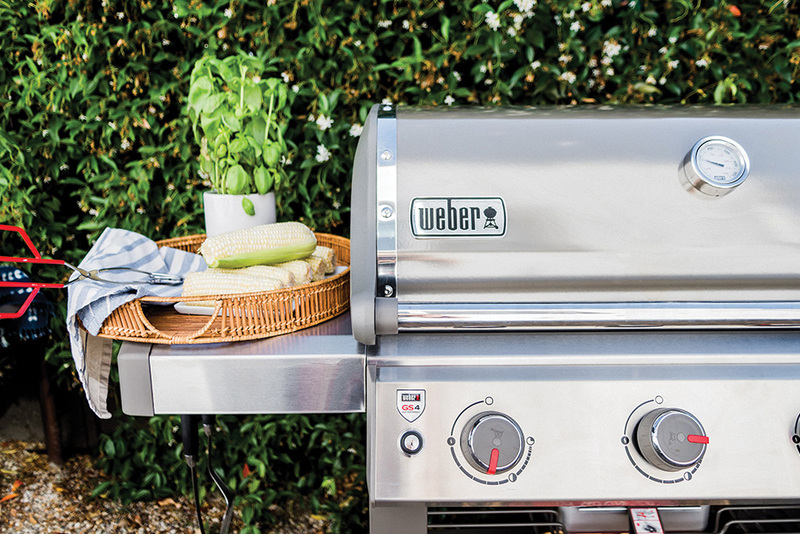 With the summer season in full effect and my grilling obsession kicking into high gear, meet my new best friend, the Weber Genesis ll gas grill that has totally transformed my grill game. Knowing that outdoor entertaining is what I live for, but was in need of a new grill, I trusted the 5-star online reviews and also took advantage of Ace’s free assembly and delivery. Yes, I said Free! Now through July 4th for Ace Rewards members (signing up is free! ), a super-friendly associate from your local Ace will work with your schedule and the store’s to deliver an assembled new grill at no added cost. I highly recommend this model. It’s easy on the eyes, works like a dream and everything you grill comes out perfect. 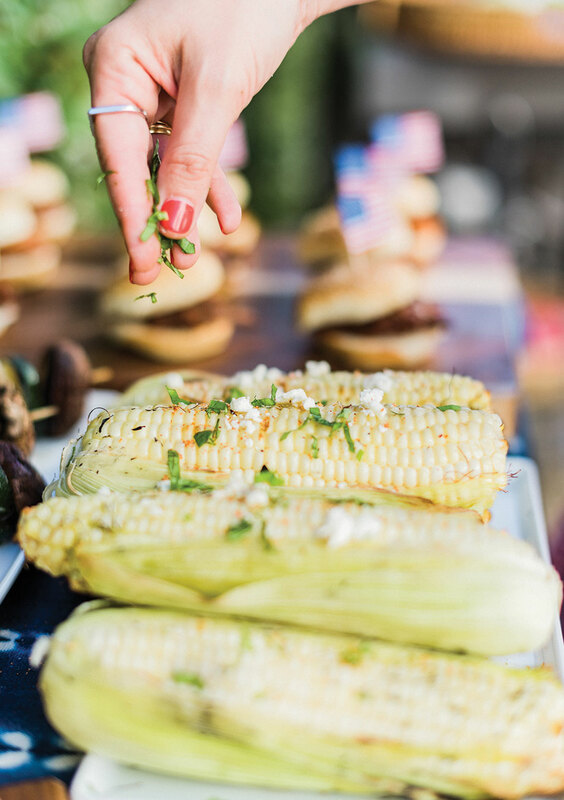 Word to the wise when planning your menu for your July 4th BBQ, think Finger Food! Keep it yummy and easy for guests. 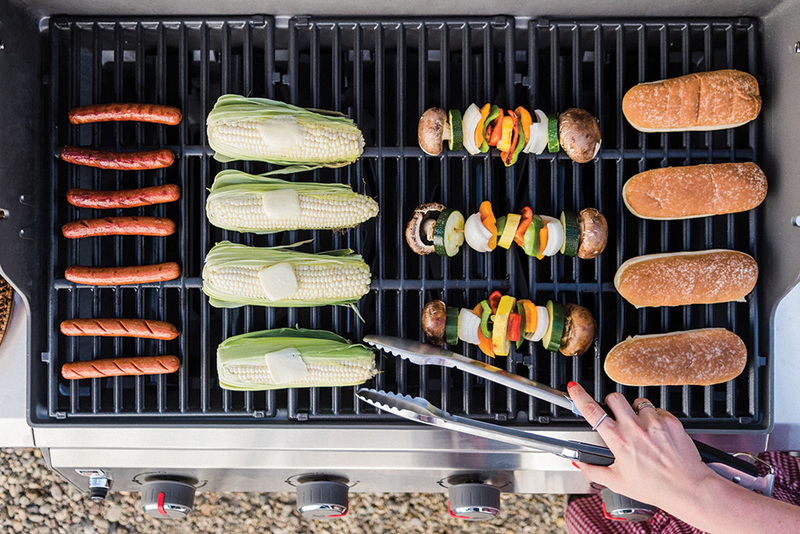 Use the grill to your advantage and throw everything on, from hot dogs (buns included), corn and kabobs! Make sure you have all your grilling tools readily available. I keep my stainless steel tools on the side of the grill on hooks-which is kind of a dream and easy to reach. Aside from recognizing that the art of grilling is therapeutic, it can also get messy. After all the grilling is done and you have 90 seconds, I highly recommend in investing in a Grill Daddy (yes, that’s it’s name) which will basically clean your entire grill for you by steam cleaning it. Just add water, scrub against the grates and all residue is gone is seconds. Truly a dream. I have to say this is probably my favorite summer dish. When the corn comes off the grill. I like to give it one light coat of butter. Shake with Tajin seasonings and dust with Mexican cheese ad a mixture of basil and cilantro. Your guests will thank you later. Although food does come first at most backyard BBQ’s, lets not forget the drinks. 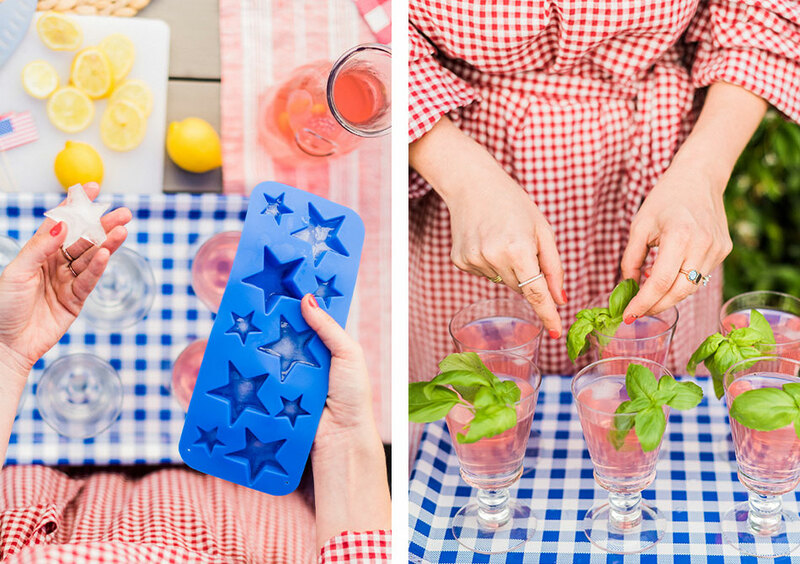 It’s a stars and stripes inspired sip all the way with these ice cube molds for pink lemonade drinks for my guests when they arrive. My go-to bar set up has always been a DIY vibe. Guests will grab their drinks and garnish them as they please, and it takes the pressure off the host to do one more job while entertaining and manning the grill. 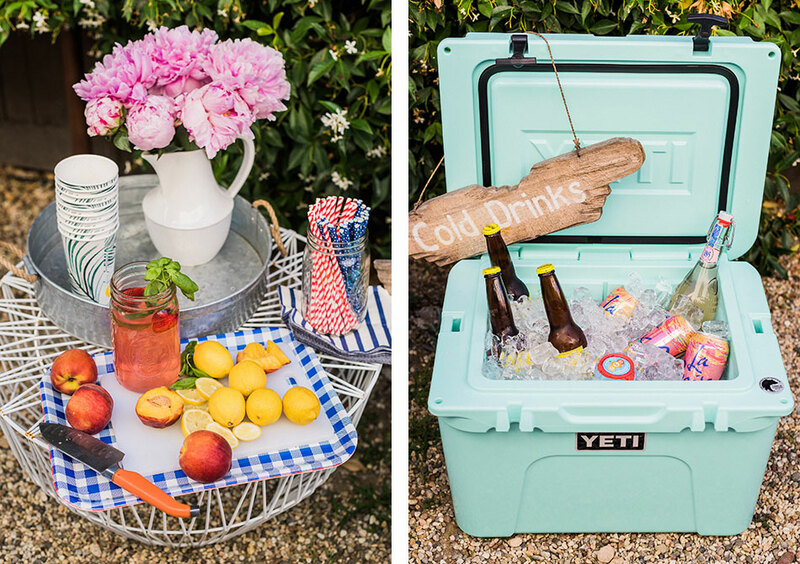 In order to keep calm and stay cool- having a cooler on hand is a must. This dreamy teal colored Yeti cooler is not only a lifesaver, keeping my drinks ice cold for days on end, but perhaps one of the most stylish coolers to have ever existed. They come in several sizes and a few other colors, but let’s get real- teal is always the way to go! Dessert is always simple. Fresh fruit, with whipped topping and ice cream, is the way to go. 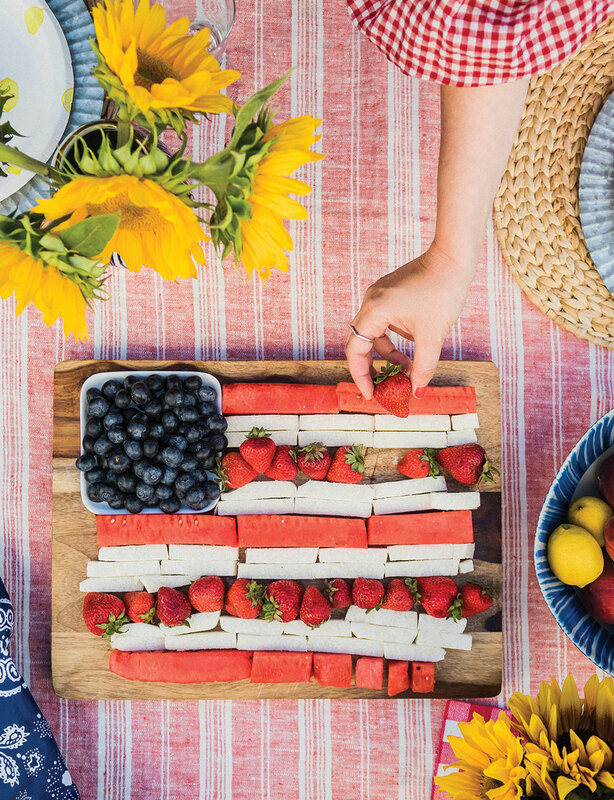 This easy American flag fruit and jicama treat will make mouths water and probably create a few Instagram moments! Just remember, no matter what you grill, drink or decorate with, putting together a summer backyard BBQ will be a hit when you open up your home and heart. Happy grilling! Happy July 4th! 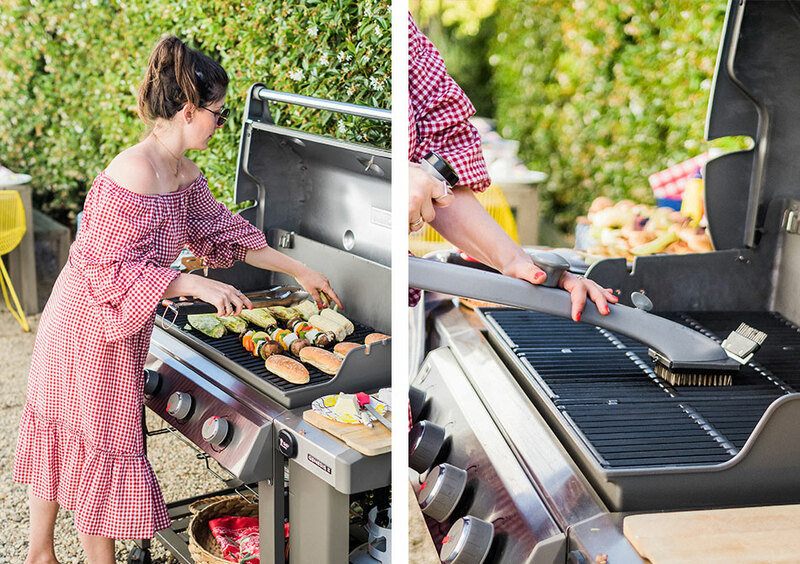 I teamed up with Ace Hardware to prep for my backyard BBQ – and you can too! 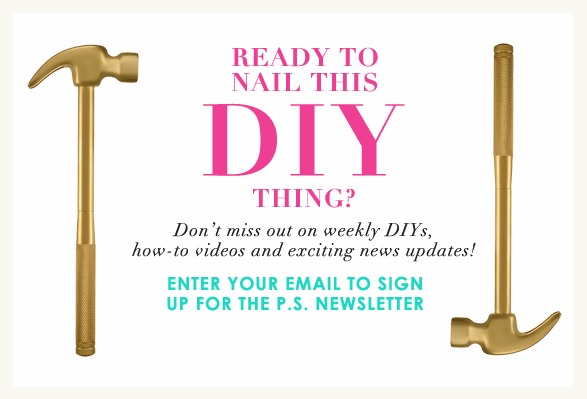 Use the exclusive online offer code “PSIMADETHIS” to get $10 off your $100 purchase, or $15 off your $150 purchase on acehardware.com!